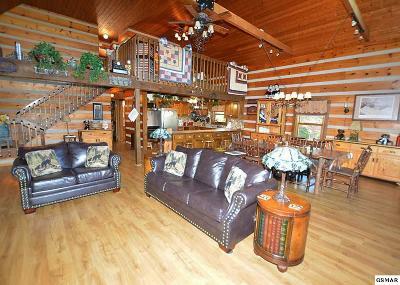 3769 Thomas Cross Rd Sevierville, TN. 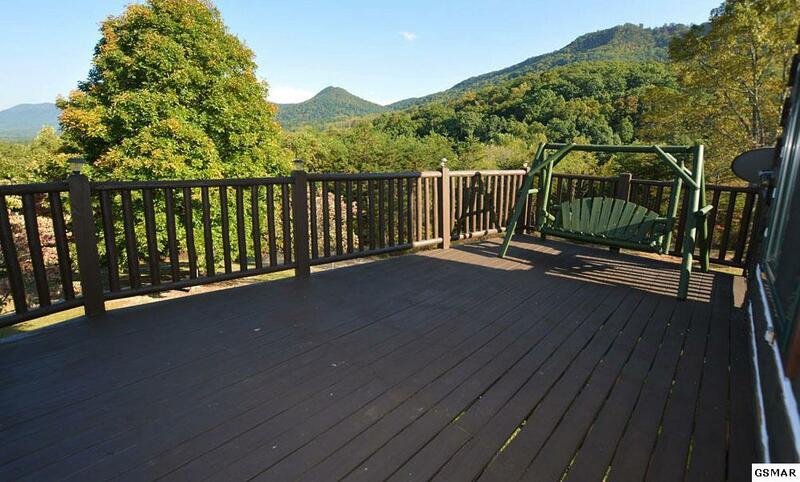 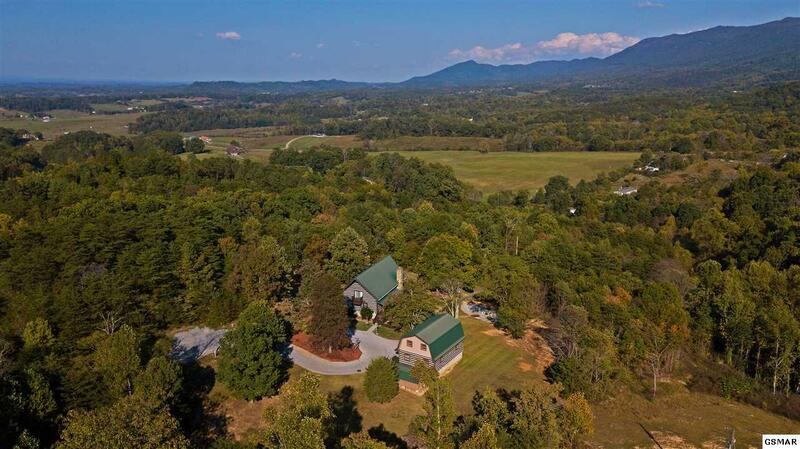 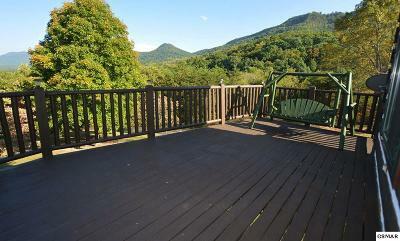 | MLS# 216274 | Sevierville Homes for Sale, Property Search in Sevierville,homes for sale,Smoky Mountain Real Estaste,Pigeon Forge Real Estate, Gatlinburg Property for Sale. 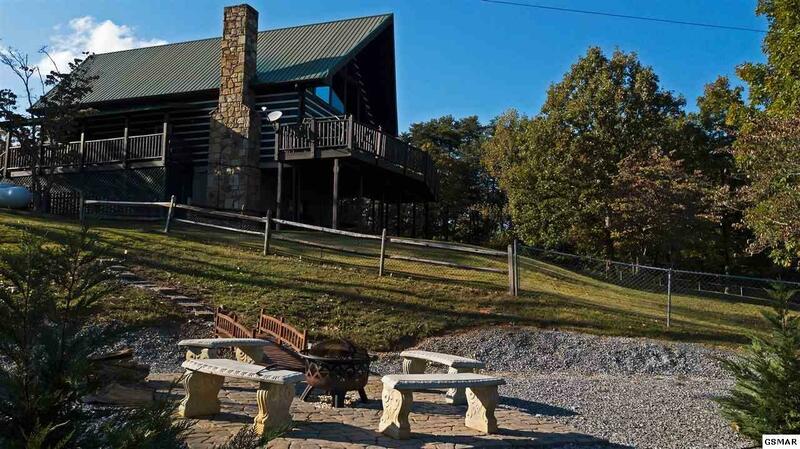 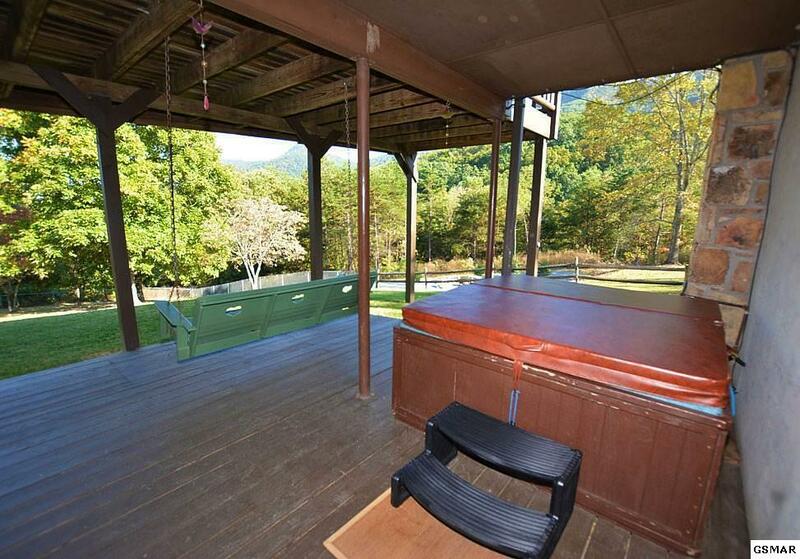 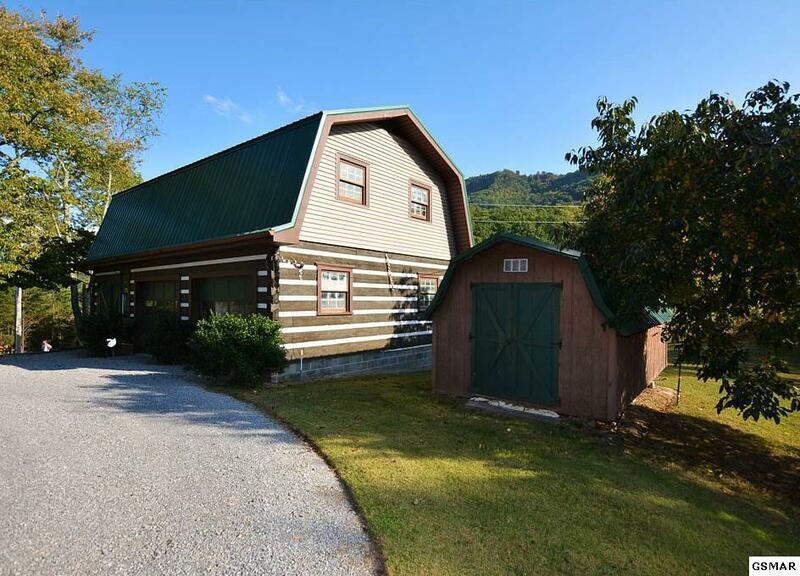 Spacious, well-built & maintained, Turn Key 3 BD/3 BA with Bonus Room, log home, nestled in a very private & serene mountain setting, on over 10 acres of your own land, located only mins. 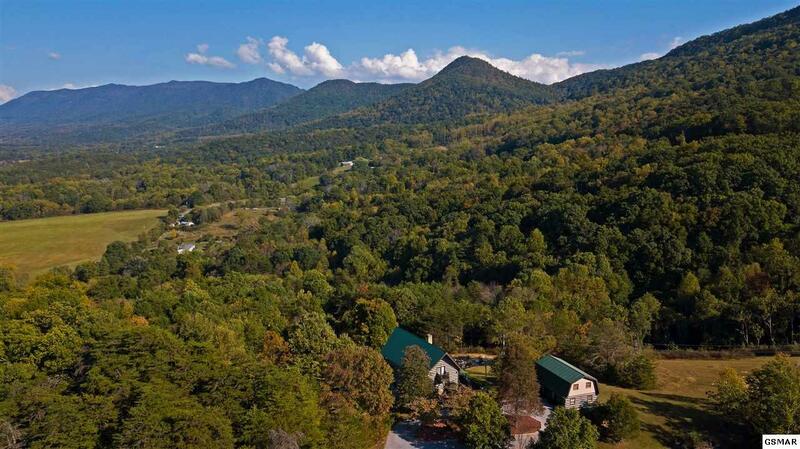 to Sevierville, & much more. 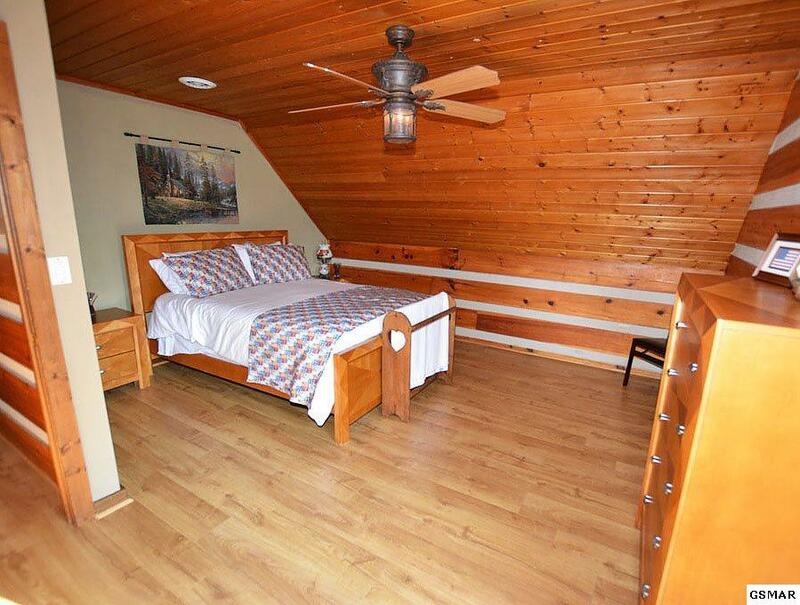 Ideal as a permanent, overnight vacation rental, or second home - currently on a rental program with proven established rental income. 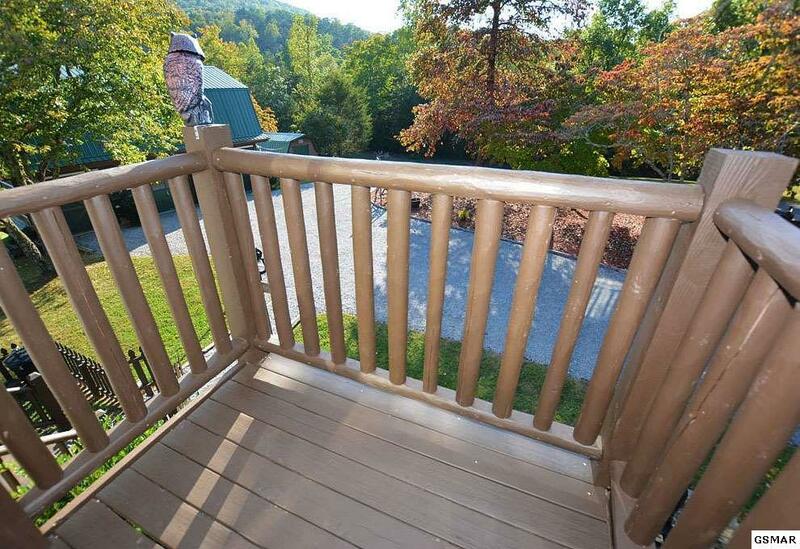 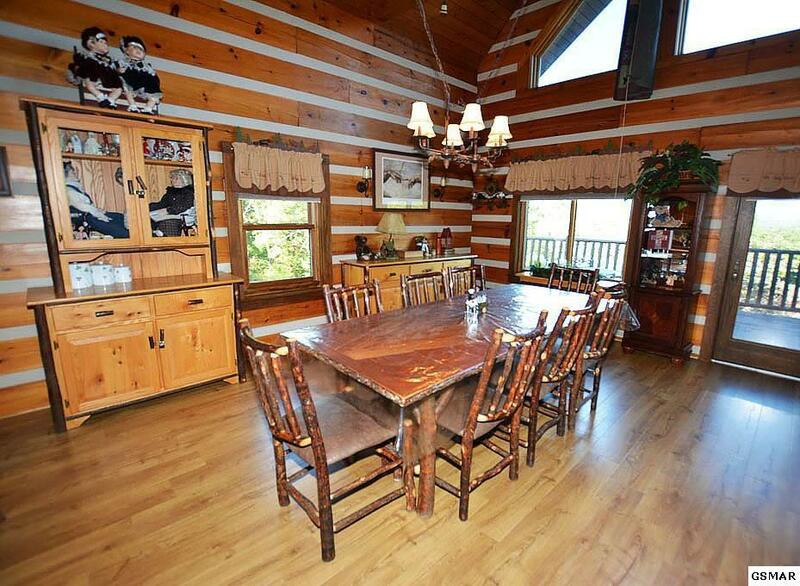 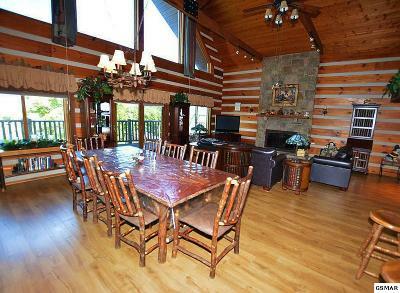 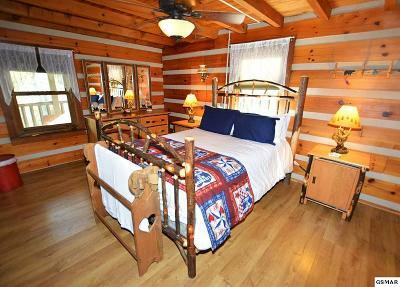 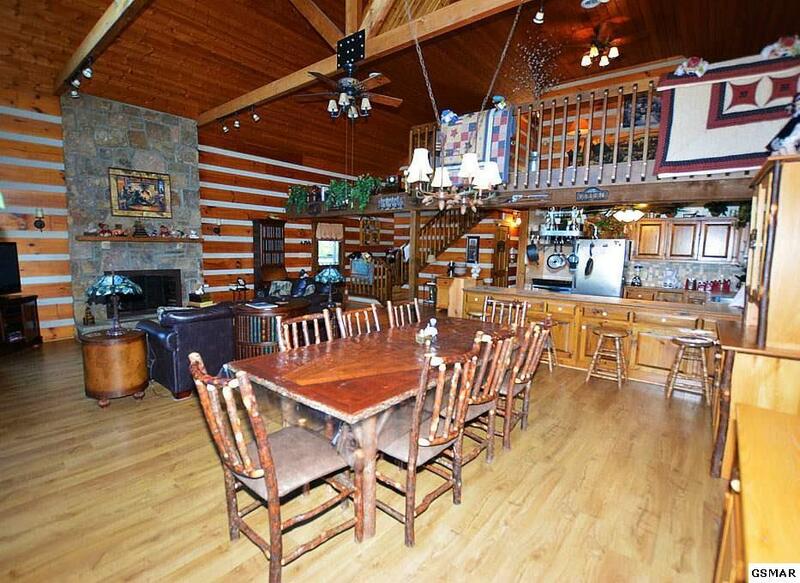 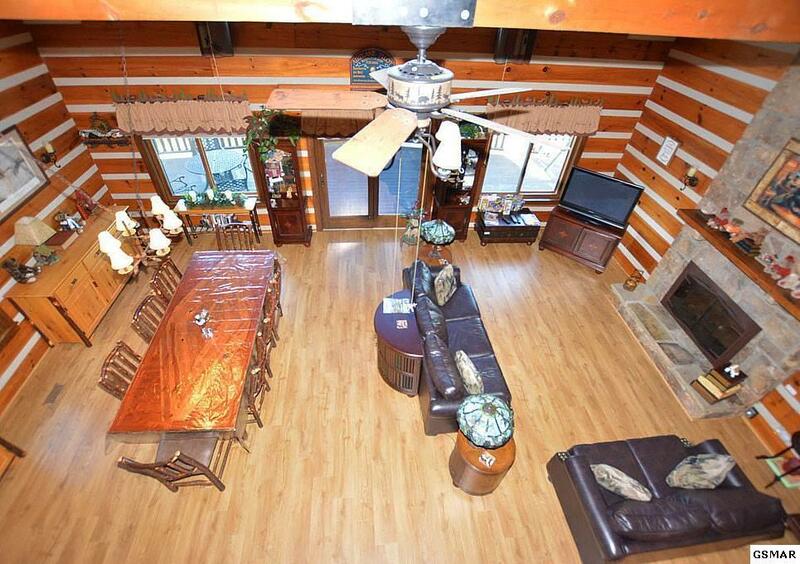 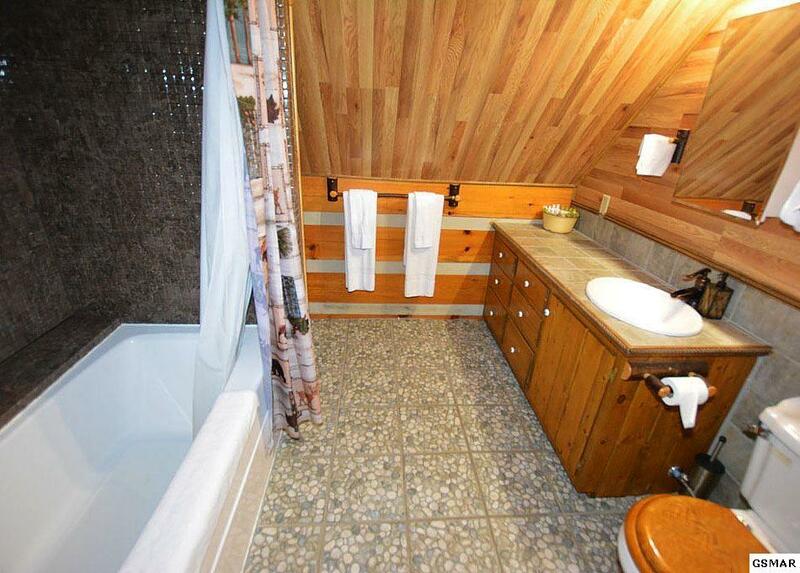 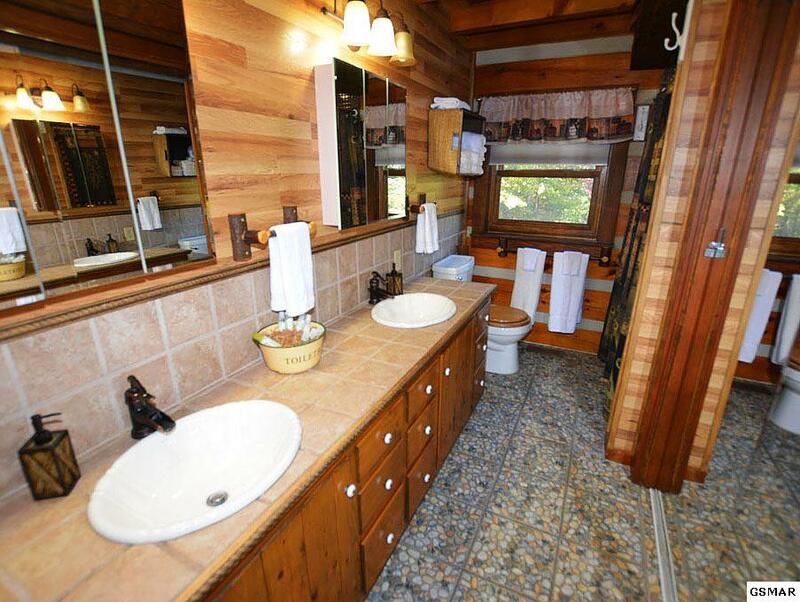 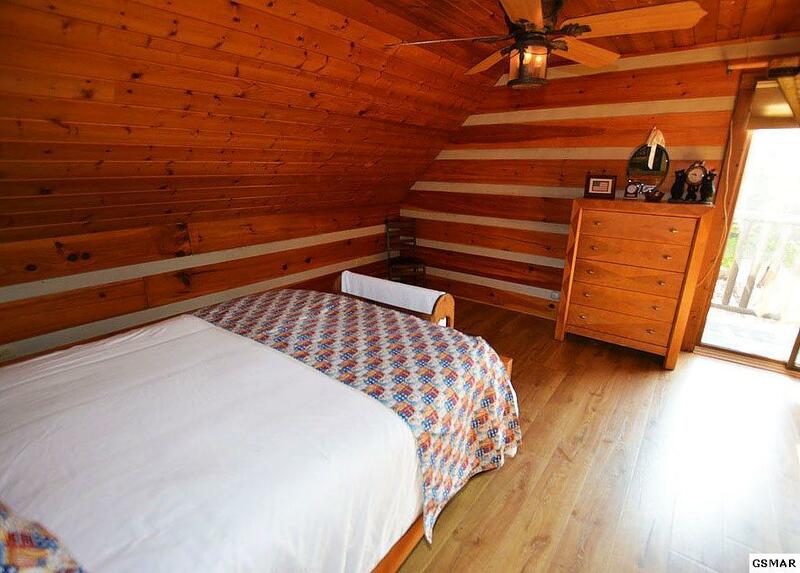 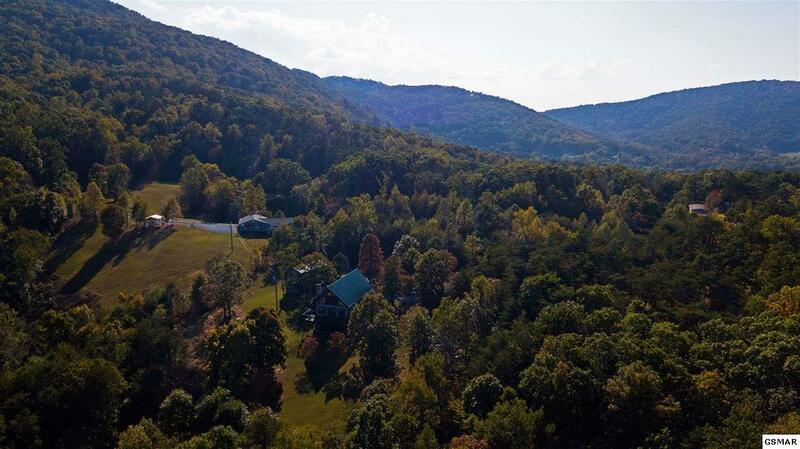 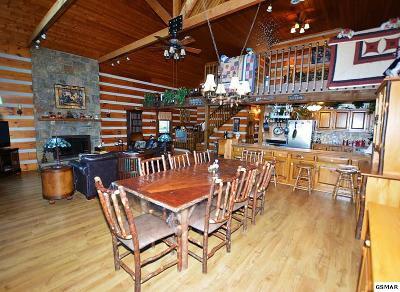 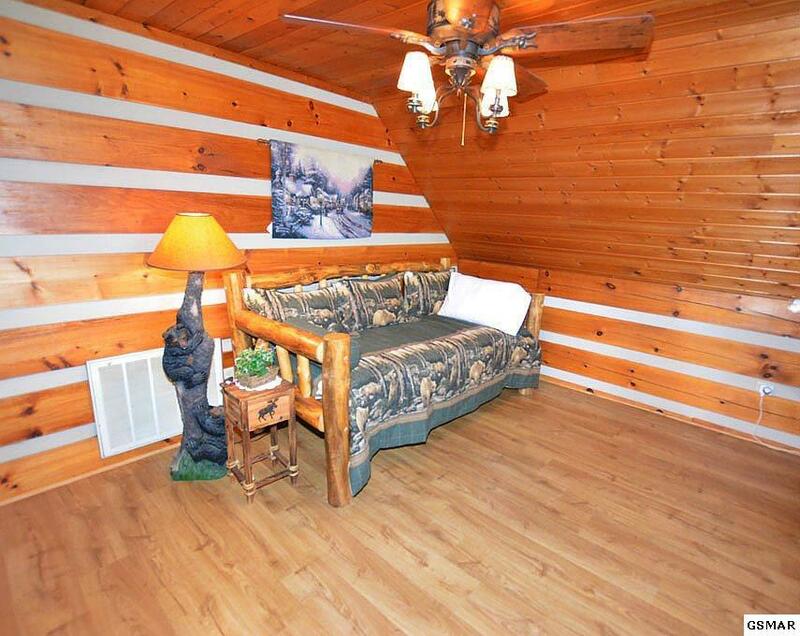 Breathtaking mountain views in all directions from this one of a kind log home, with easy access, no narrow mountain roads to climb, and very private and serene, wooded setting. Truly a must see! 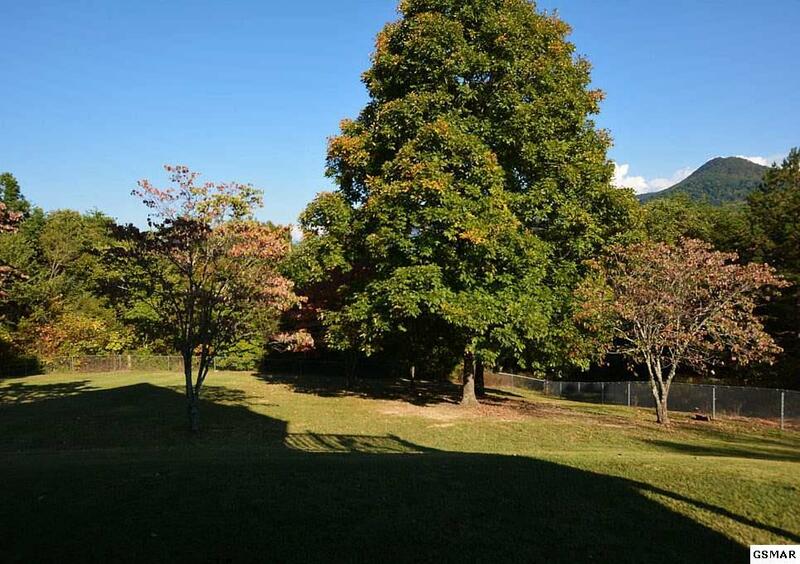 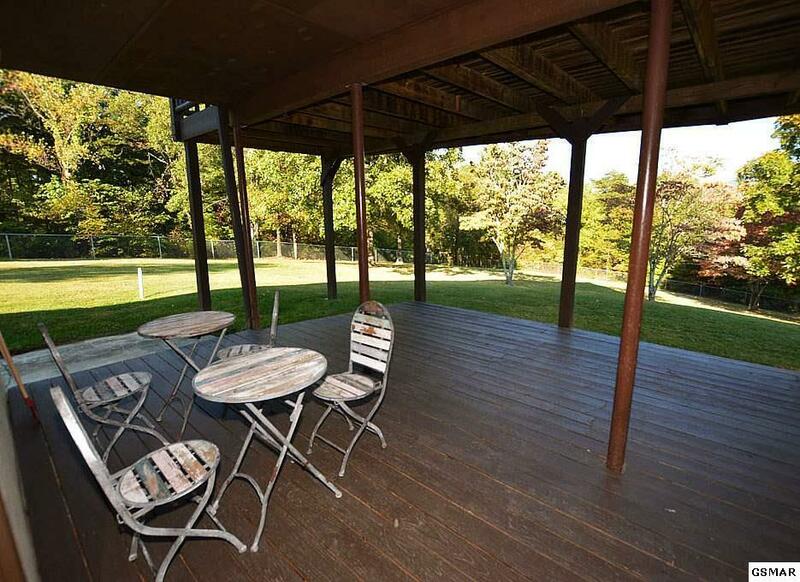 Lots of cleared yard space throughout this property some of which is partially fenced in. 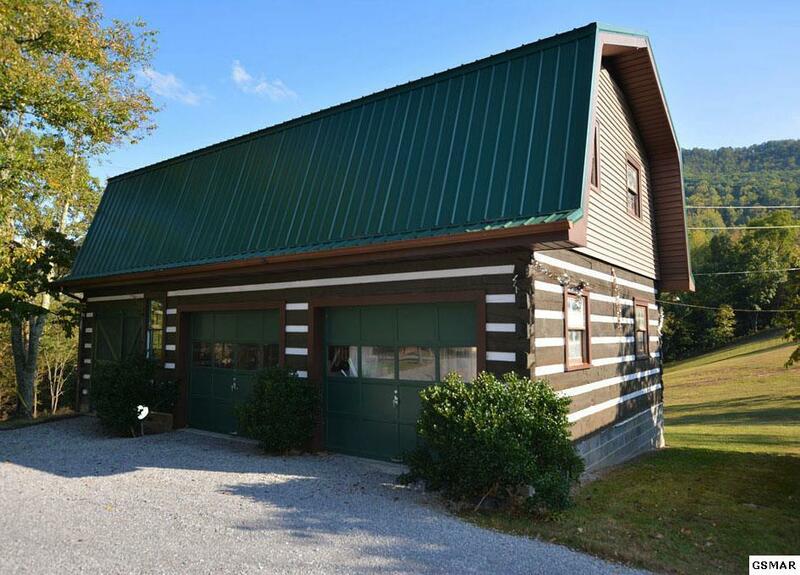 Very large 2-car detached garage with work shop and upstairs area that would make perfect additional living space and has stunning views. 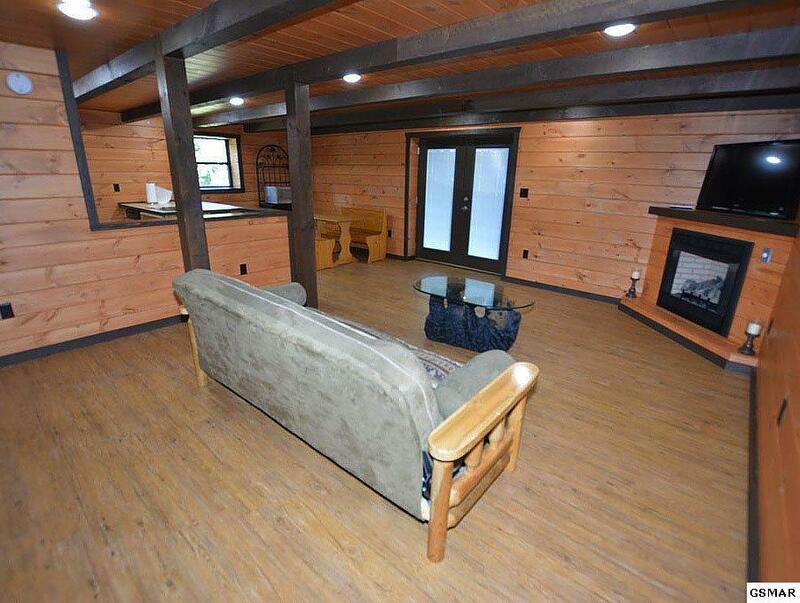 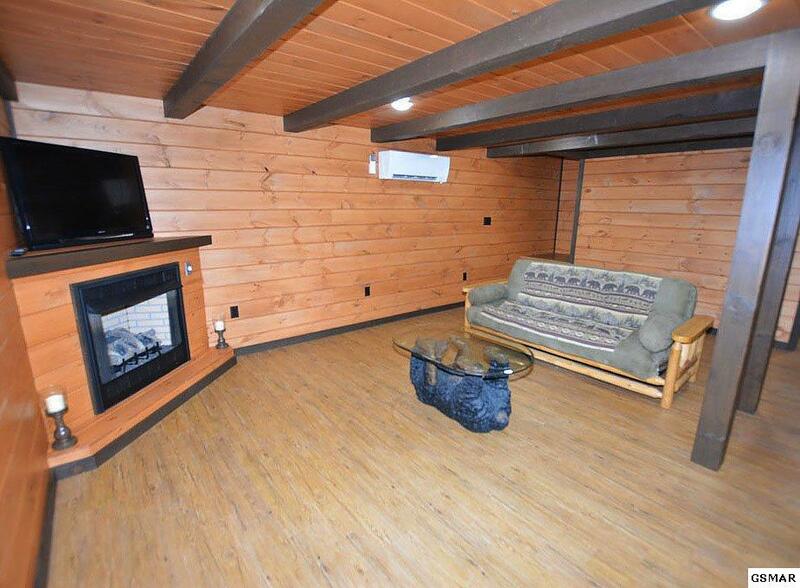 Enter into the warm and inviting Great room w/high, vaulted ceilings & a large stone F/P. Perfect for family gatherings and entertaining. 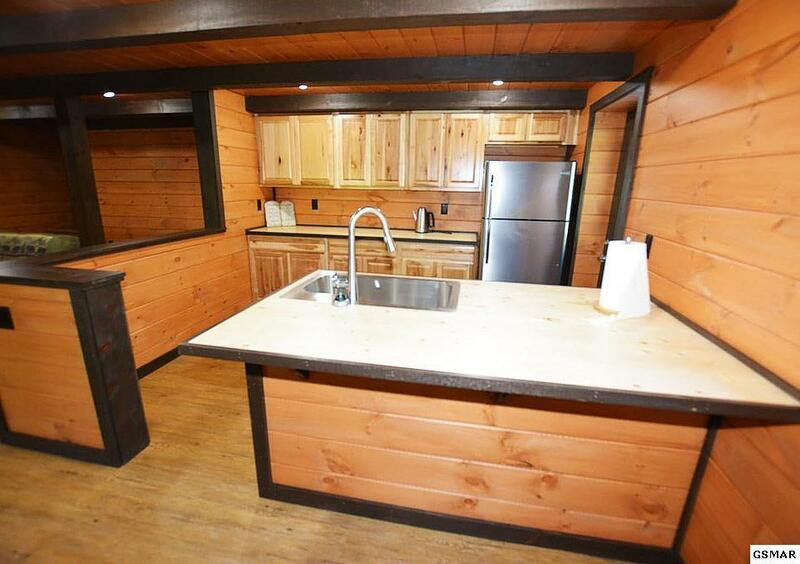 Two full kitchens! 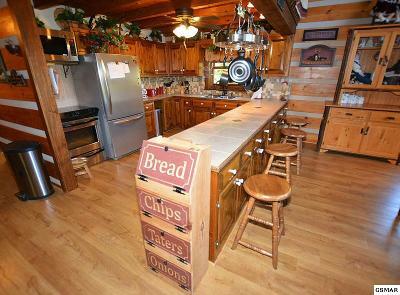 The chefs kitchen on the main level is well stocked, and offers stainless appliances , lots of cabinetry and breakfast bar. 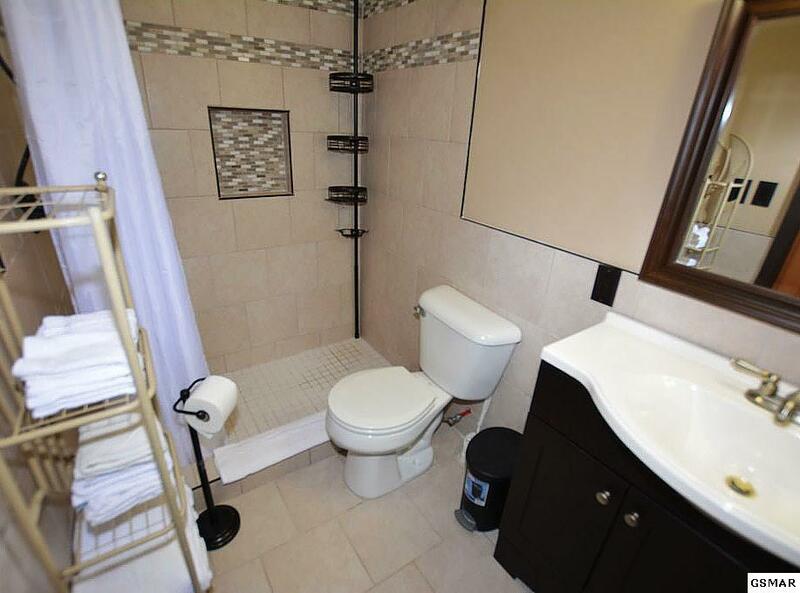 Also on the main level is a Master Suite with bath and private closet space. 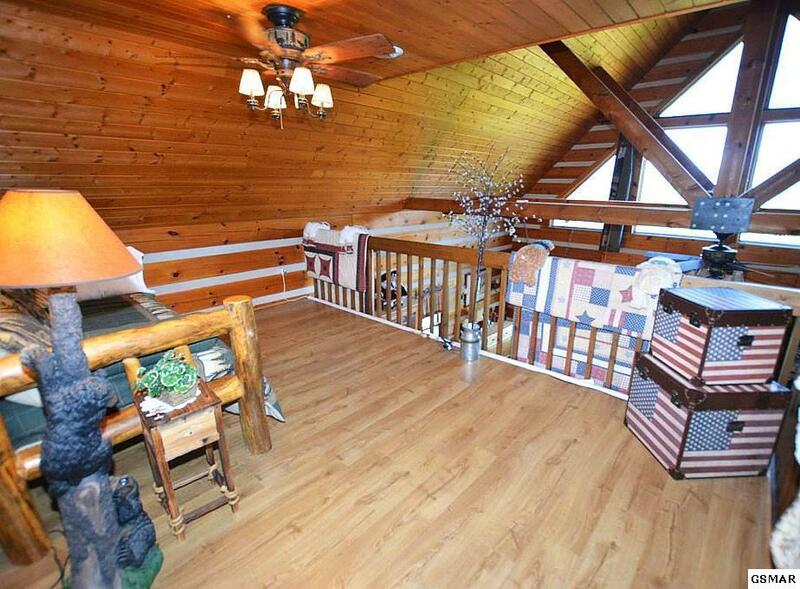 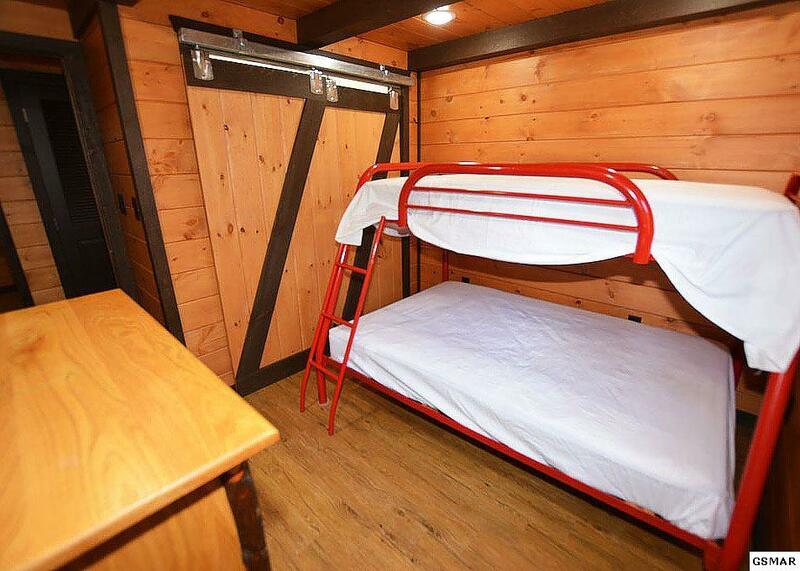 Located on the upper level is an open loft, perfect as a den, library area, or additional sleeping space, & a guest bedroom and bath. 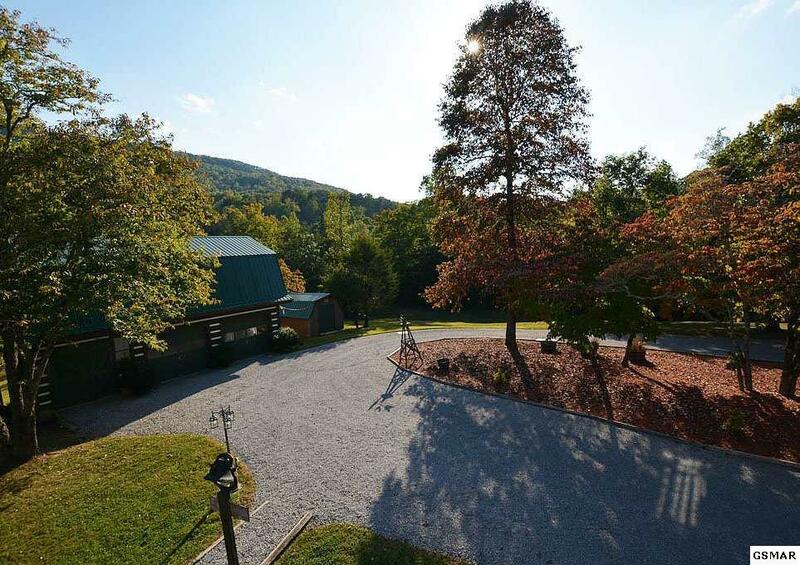 The spacious lower level features a rec rm/den, the 2nd full kitchen, bedroom, full bath and a bonus room, creating a perfect private space for extended family and guest. 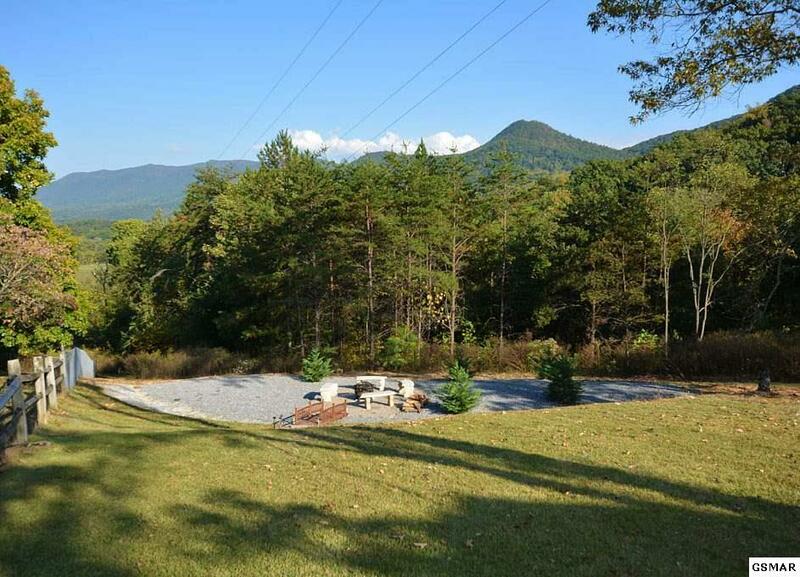 The grounds are stunning with a fire pit area to enjoy and lots of decks space to sit and watch the Smoky Mountain seasons unfold. 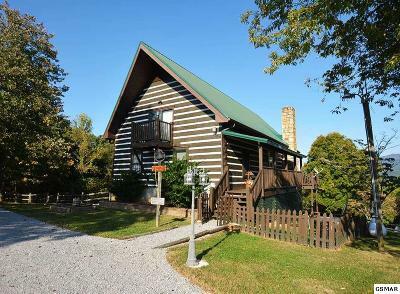 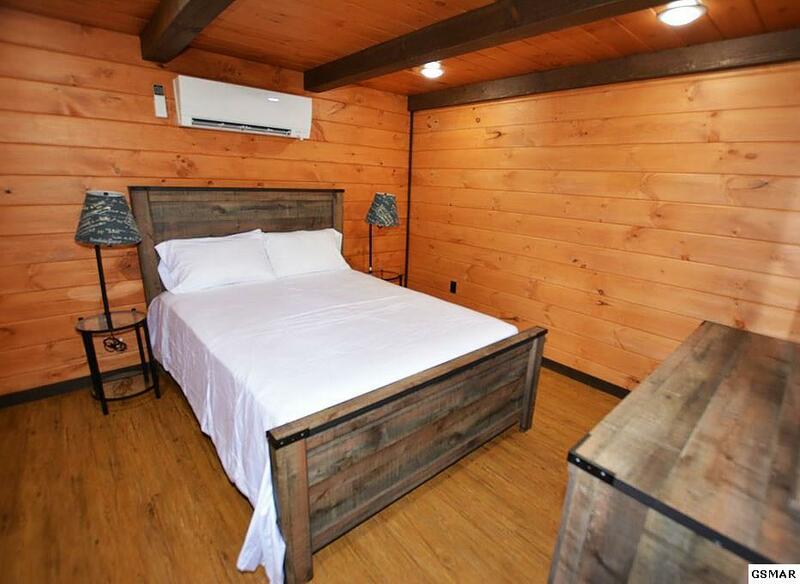 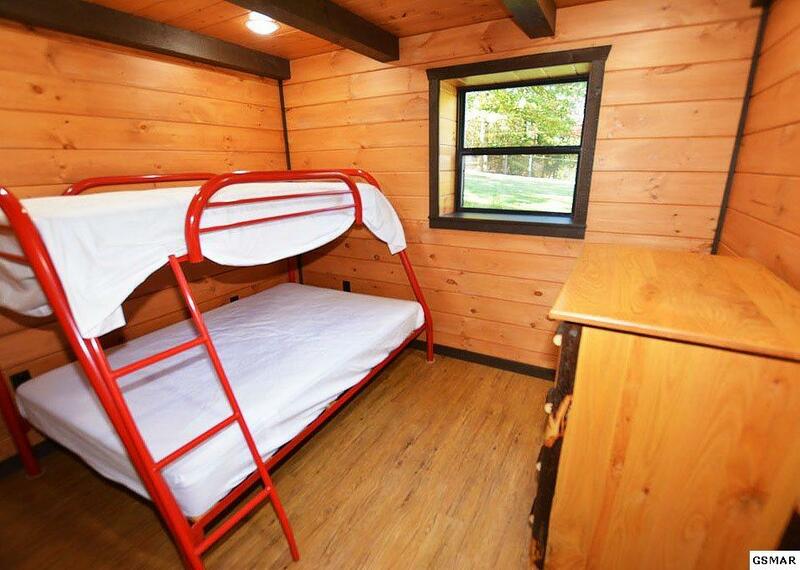 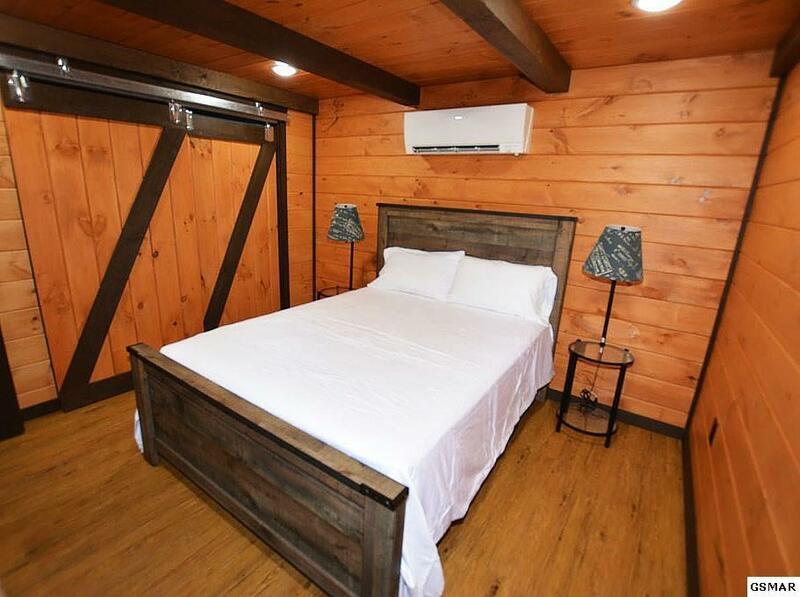 Located just minutes from Sevierville, Pigeon Forge, Dollywood, The Great Smoky Mountains National Park and all area attractions. 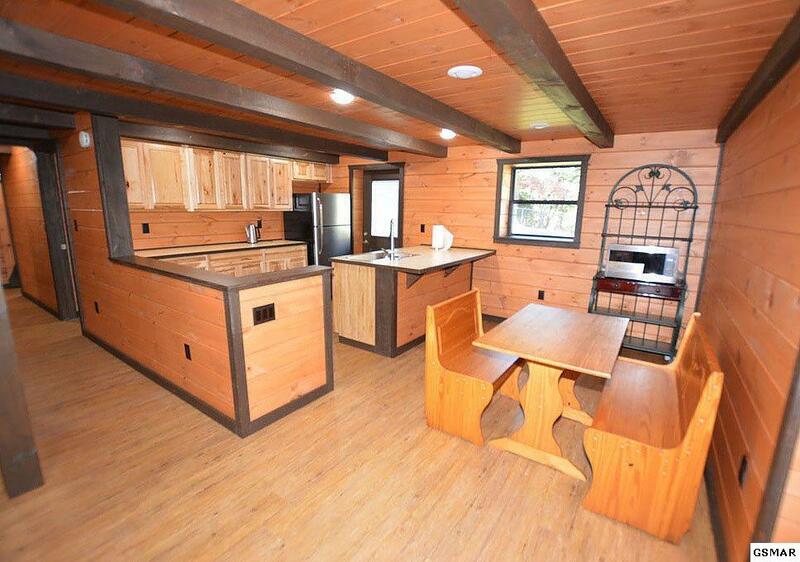 Sq ft from third party and Buyers to verify sq ft if important prior to purchase.